February 05, 2018, Pune, New Delhi: Eicher Trucks & Buses, part of VE Commercial Vehicles, today introduced Zero Emission Smart Electric Buses, marking its entry in the growing Electric Bus segment in India. In this development, VE Commercial Vehicles will integrate KPIT Technologies’ indigenously developed electrification technology, ‘REVOLO’, on its industry leading bus platform – ‘Skyline Pro’. Manufactured at VECV’s own state-of-the-art manufacturing facility in Indore, Madhya Pradesh Eicher Skyline Pro buses are the most advanced in safety, comfort and efficiency. 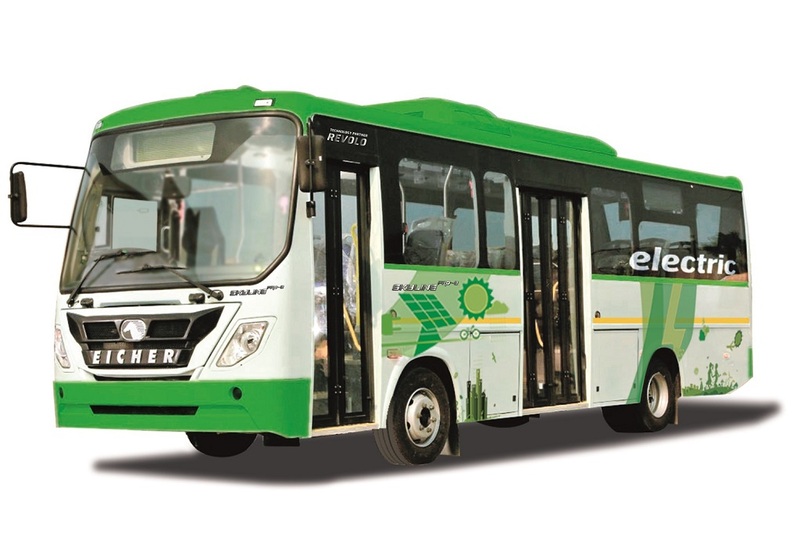 The new electric, Skyline Pro E bus adds to the successful Skyline Pro range and marks a significant move in the Company’s direction to build smart and sustainable transportation solutions for India. REVOLO is an innovative versatile technology that can be applied to a large range of buses and other vehicle designs. It has been designed by KPIT, a global technology company working in automotive and mobility solutions. REVOLO has a unique architecture which allows it to operate on a lower voltage. It also does significant regeneration to have the maximum possible range with the smallest possible battery. The system is modular and designed for Indian conditions. Eicher Trucks and Buses has the lineage of three decades of operations in India. Adopting the most professional and holistic approach to modernize the Indian trucking industry, their brand philosophy, “Go Pro”, promises to deliver best-in-class fuel efficiency, higher loading capacity, superior uptime and overall vehicle life time profitability. 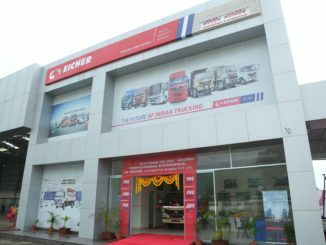 Eicher Trucks and Buses (ETB) is present in the LMD range with a strong presence in the 4.9T-16T truck segment and an ever-increasing market share in 16T-49T heavy duty trucks segment. Eicher Pro Series buses also have a strong presence in the Light and Medium segment along with a leadership in the school bus segment. VE Commercial Vehicles Limited (VECV) is a joint venture between the Volvo Group and Eicher Motors Limited. 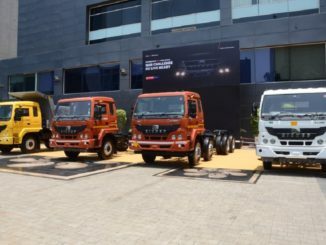 In operation since July 2008, the company includes the complete range of Eicher branded trucks and buses, VE Powertrain, Eicher’s components businesses as well as the sales and distribution business of Volvo trucks within India. VECV’s vision is to be recognized as the industry leader driving modernization in commercial transportation in India and the developing world. KPIT (BSE: 532400, NSE: KPIT) is a global technology company focused on providing technology solutions and expertise to Automotive and Transportation Companies and City authorities. Together with its customers and partners, it creates and delivers technologies to enable creating a smart, safe and a more intelligent world that is sustainable and efficient.